Some of our prior blog posts have dealt with the legal issues relating to foreclosure prosecutions and defenses in New York State. As discussed in these posts, foreclosures are legal actions in which a mortgage holder will legally obtain title to real property from a defaulting borrower. After obtaining a foreclosure judgment, the property is auctioned to the highest bidder, which is usually the lender bringing the action. The Referee will then prepare a Referee’s Deed transferring title to the successful bidder. One question that often arises is when the owner continues to occupy the foreclosed property, or when there are tenants in the foreclosed property. What happens to these occupants when the foreclosure procedure is complete and title is transferred? There are several answers to this question. When the original owner continues to live in the property after a lender has obtained title by a Referee’s Deed in foreclosure, the new owner must take legal action to evict the occupant. In New York State, such evictions can be accomplished under New York Real Property Actions and Procedures Law § 713. 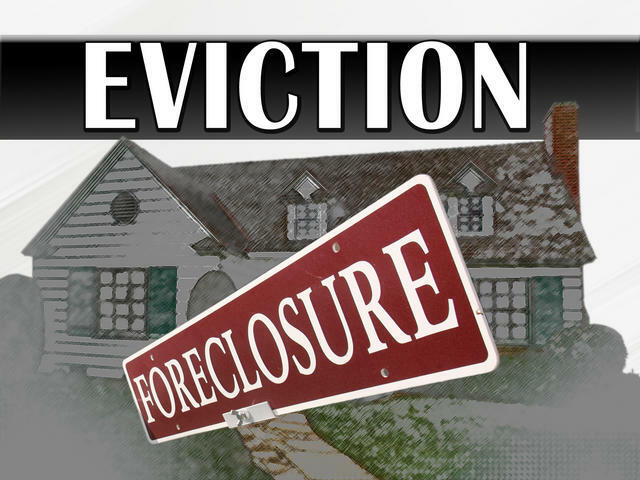 This section provides grounds for eviction “where no landlord-tenant relationship exists.” Subsection 5 provides that if the property has been sold in foreclosure, then a certified copy of the deed in foreclosure must be exhibited to the persons to be evicted from the premises. If such an action is brought, it must be brought as a separate action from the original foreclosure, in a Court with appropriate jurisdiction. Even though no landlord-tenant relationship may exist, the procedures for such an action are similar to those in an ordinary landlord-tenant proceeding, with the end result being a warrant of eviction, assuming the necessary procedural requirements have been met. Another option would be for the new owner to apply to New York State Supreme Court for a writ of assistance. This application may be done as a motion under the original foreclosure action. The writ is a legal document that puts the owner into possession of the premises, and may operate in the same manner as a warrant of eviction. As it is not considered a special proceeding, as an action brought under R.P.A.P.L. § 713 would be, the same procedural requirements for a special proceeding do not need to be complied with. Of course, a motion made in Supreme Court may take a significant amount of time to be noticed and decided, and this motion practice may take significantly more time than a separate special proceeding to be resolved. A difference alternative that a new owner may consider would be to enter into a rental agreement with the former owner occupant. This allows the former owner to continue living at the property and maintaining same, allowing an institutional lender to avoid maintenance and upkeep. If a written rental agreement is entered into, then the rights and responsibilities of the parties are subject to the provisions of R.P.A.P.L. § 712, which allows for a special proceeding because an ordinary landlord-tenant relationship exists. If the tenant refuses to leave the premises after the expiration of the agreement, then a holdover proceeding for eviction can be brought in the appropriate local court that handles landlord-tenant matters. The final question relates to a cooperative apartment. As explained in a prior blog post, a cooperative owner actually owns shares in the cooperative corporation, and not real property. A “foreclosure action” for a cooperative is non-judicial, and usually consists of a notice of default and termination, followed by an auction of the shares and proprietary lease to the highest bidder, usually the lender, or potentially the cooperative corporation. After the shares and proprietary lease have been auctioned, a new owner cannot bring an action under R.P.A.P.L. § 712 or § 713, as these provisions only deal with evictions from real property. Instead, a new action must be commenced in Supreme Court for ejectment. This will allow the new shareholder to evict the former shareholder from the premises. Weiss & Weiss has extensive experience in foreclosure actions and the related landlord-tenant actions, and welcomes all inquiries in these areas.